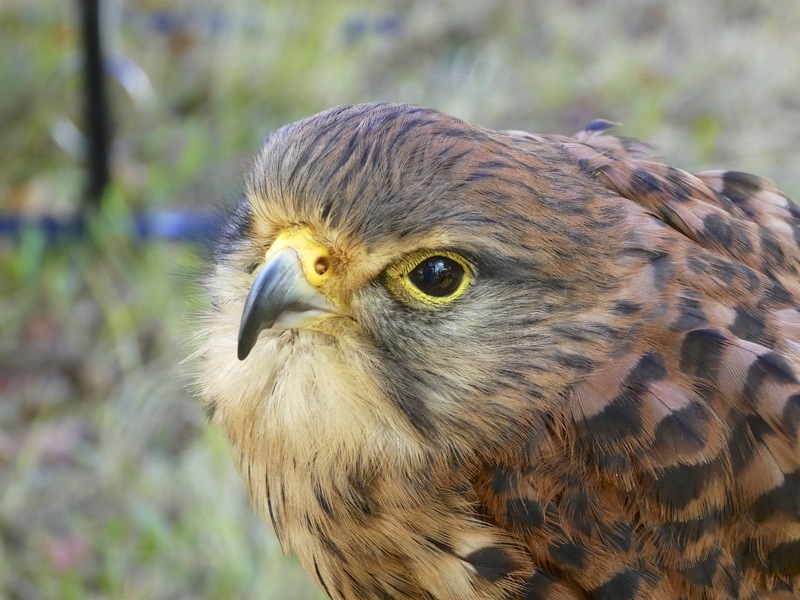 Don’t forget Lichfield Bower today! 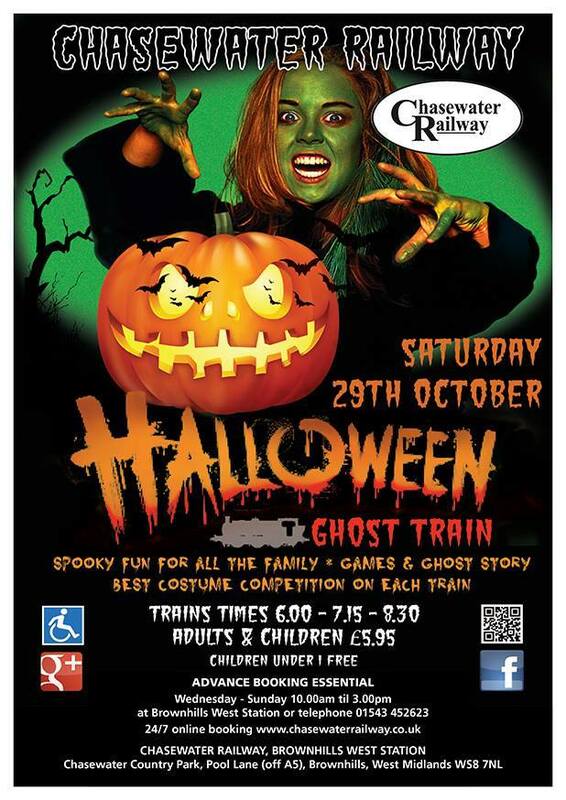 I note Chasewater Railway have Halloween ghost trains running this evening (30th October 2016) with prizes for fancy dress, ghostly fun and games and much more spooky fun for all the family! 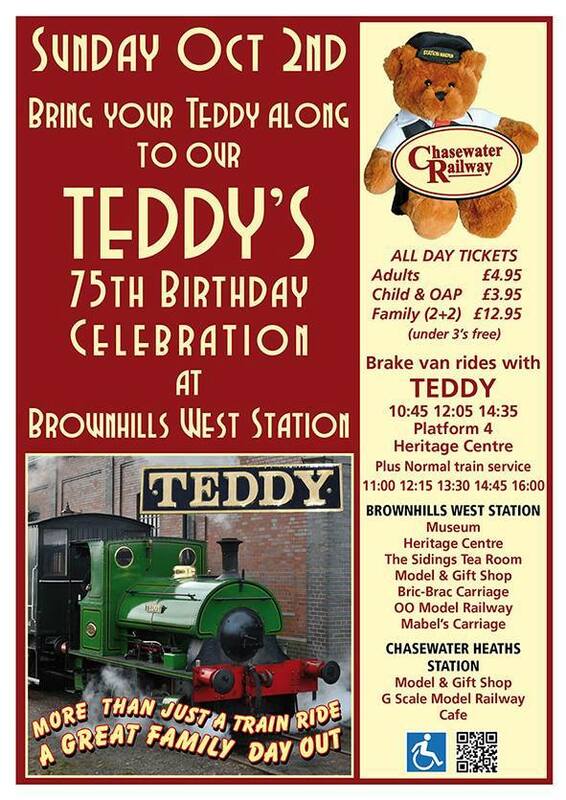 Chasewater Railway celebrate Teddy’s 75th birthday this Sunday! 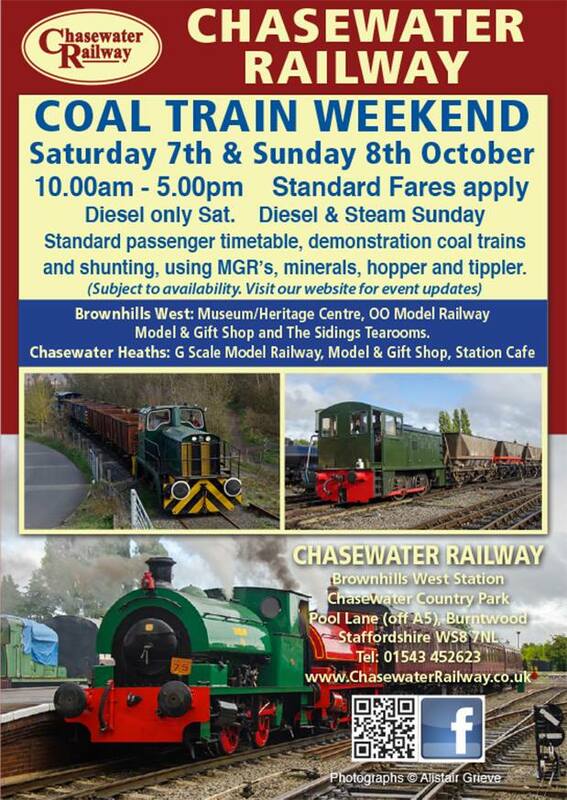 I note Chasewater Railway have a celebration this Sunday (2nd October 2016)of their lovely little green locomotive Teddy with special services, brake van rides, photo opportunities and much more for all the family! 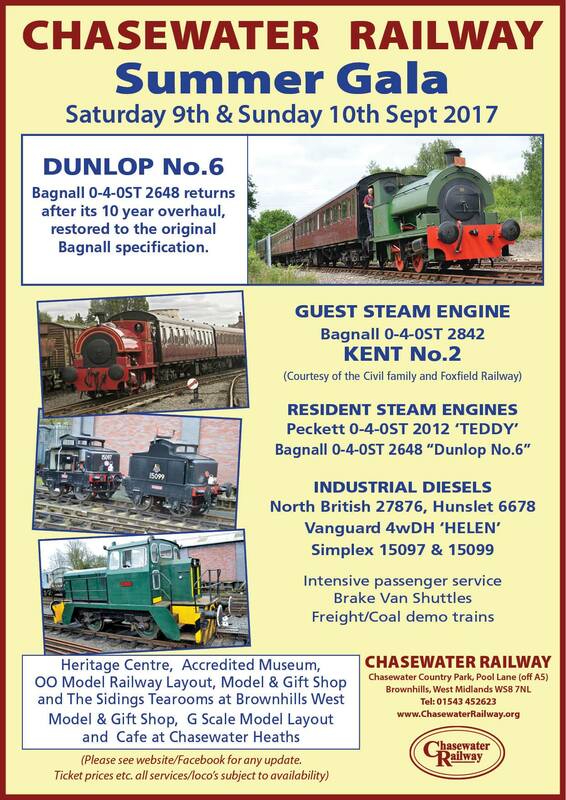 I note Chasewater Railway have a Late Summer Gala this weekend (Saturday 3rd and Sunday 4th September 2016), with special guest engine Andrew Barclay and a much busier running timetable than normal. 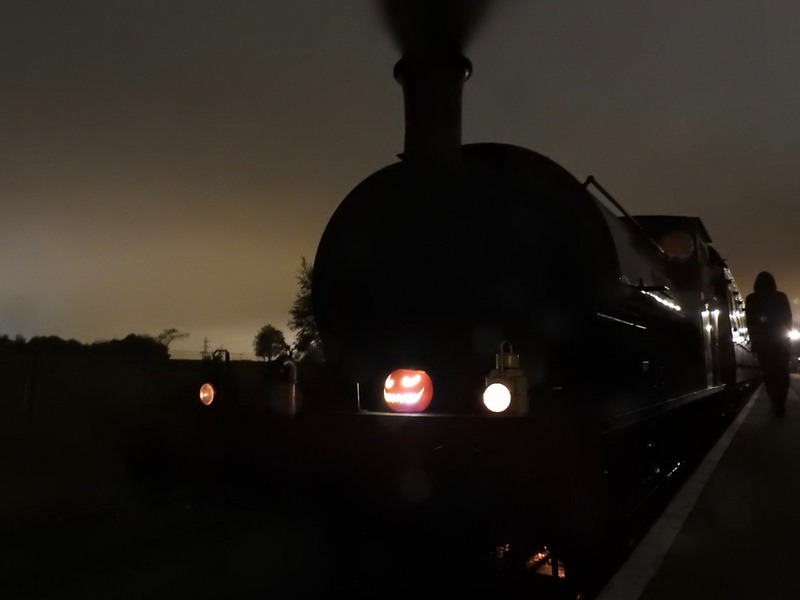 Festival of Water comes to Pelsall – all this weekend! 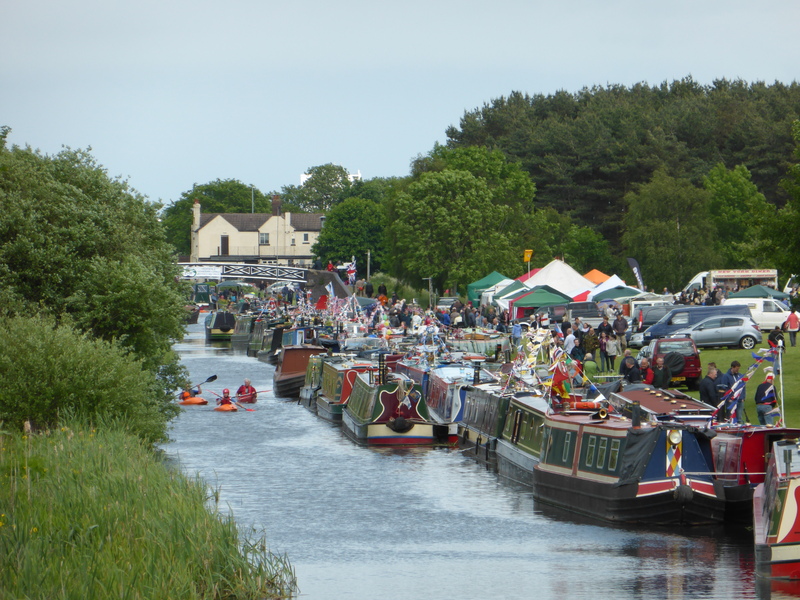 Those who remember the excellent Pelsall Canal Festivals will be pleased to note that this weekend, there’s a similar three day festival taking place on the canals and common around Norton Junction in Pelsall, featuring over a hundred boats, stalls, displays, fun and entertainment for all the family. 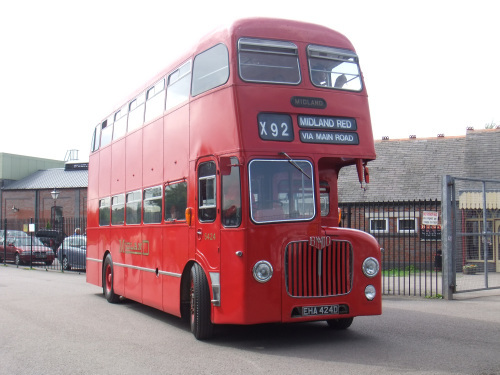 See Lichfield in twenty buildings and sixteen steps – this Monday! I see that there Kate Cardigan from the wonderful Lichfield Lore is organising a great Monday evening historical walk visiting twenty buildings around Lichfield, with her informal and fun Lichfield local history group, Lichfield Discovered. 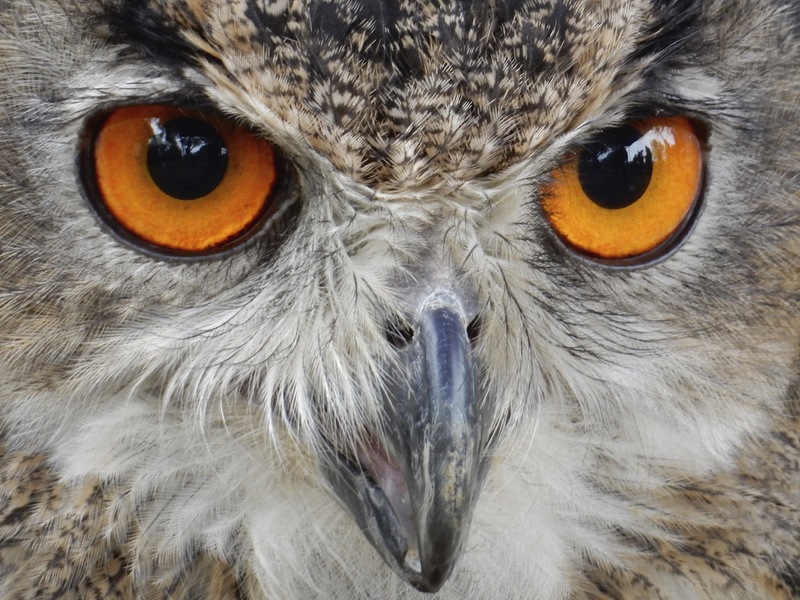 See familiar places from a different perspective with Lichfield Discovered this Saturday! I see that there Kate Cardigan from the wonderful Lichfield Lore is organising a great Saturday afternoon photo walk around Lichfield, with her informal and fun Lichfield local history group, Lichfield Discovered. I briefly passed through Brownhills Canalside Festival today, and had very little time there due to having some work stuff kicking off elsewhere, but this year’s event looked superb from the photos generously supplied below by the young David Evans and old online pal Dave Tucker. 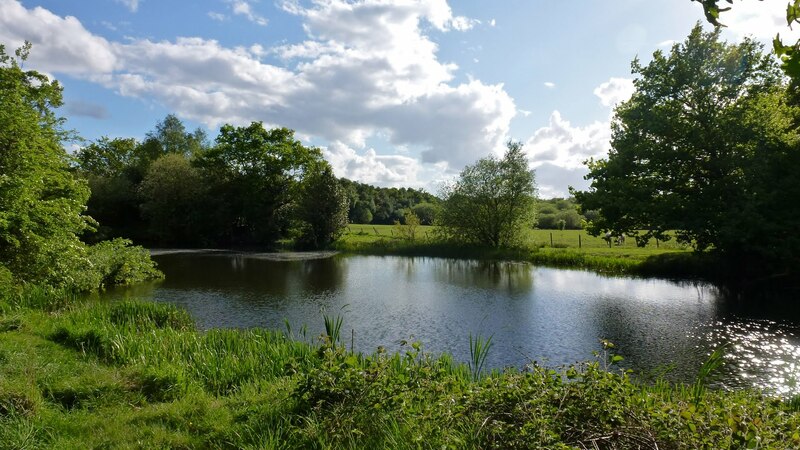 I’ve had an interesting question in from Taffy of Tamworth, who’s an angler who enjoys fishing Marklews Pond, off Engine Lane in Brownhills – but he’s recently noticed something. 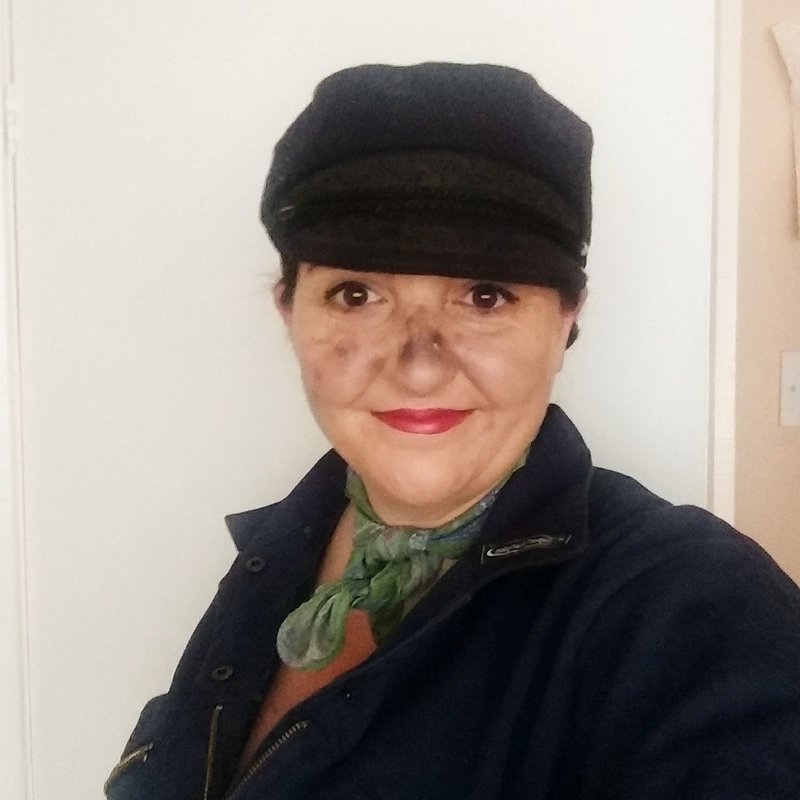 Kate Cardigan from the wonderful Lichfield Lore has tipped me off about a Sunday morning historical walk taking place in Lichfield tomorrow exploring the remarkable history of the city water supply. Walk the lost Beacon Place with Lichfield Discovered tonight! I see that there Kate Cardigan from the wonderful Lichfield Lore has organised a great Monday Evening historical walk exploring the lost estate of Beacon Place, with her informal and fun Lichfield local history group, Lichfield Discovered. I see that there Kate Cardigan from the wonderful Lichfield Lore is organising a great Sunday afternoon historical walk along the line of the old town boundary ditch, with her informal and fun Lichfield local history group, Lichfield Discovered. Meet Lichfield Discovered over a pint tonight! I see that there Kate Cardigan from the wonderful Lichfield Lore is has an informal local history meeting on this evening with her irreverent and fun Lichfield history group, Lichfield Discovered. 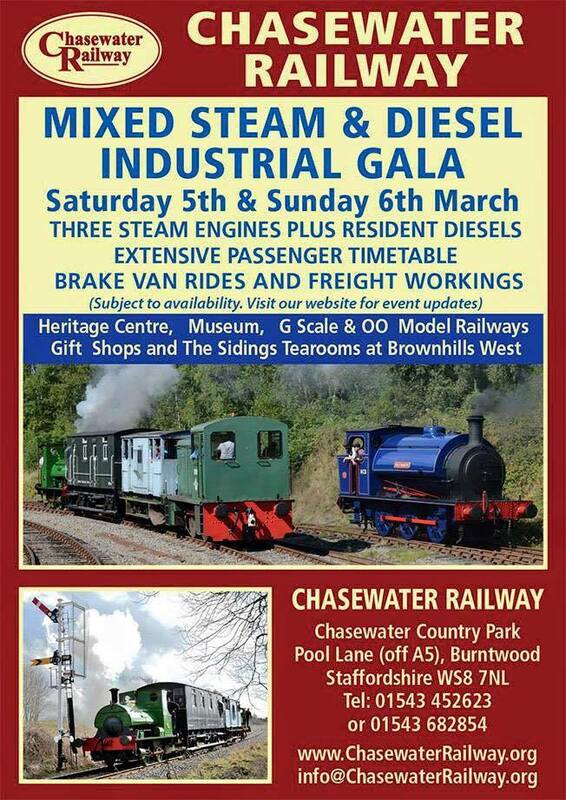 I note Chasewater Railway have a Mixed Steam and Diesel Industrial Gala this weekend (Saturday 5th and Sunday 6th March 2016), with special engines and a much busier running timetable than normal. Find out about the Lichfield Morris – free talk on tonight! Tonight at 7:30pm, (Monday 8th February 2016), they have a wonderful free talk at Curborough Community Centre, on the subject of the celebrated and longstanding Lichfield Morris. I see that there Kate Cardigan from the wonderful Lichfield Lore is has an interesting talk on this evening with her irreverent and fun Lichfield history group, Lichfield Discovered. Today, I made a decision – it’s been a hard couple of weeks at work, and yesterday was a gorgeous ride into Lichfield, so when I saw the wonderful weather I decided to abandon the stuff I’d planned today, and went up on the Chase for a blast in the unseasonably warm weather. 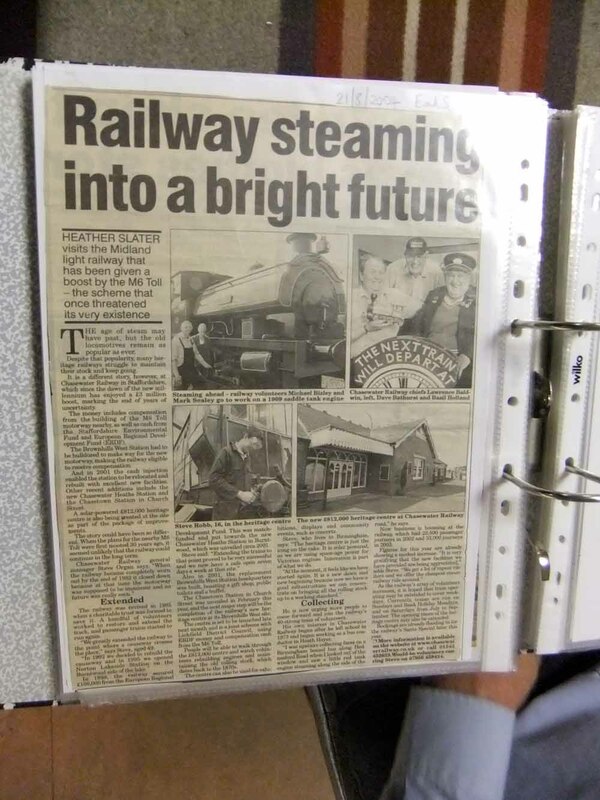 I note that Chasewater Railway volunteer, local blogger and top chap John Daft has issued an appeal on the railway museum blog to call for donations or copies of any press cuttings or pictures relating to the project that the public may have in their possession. Meet Lichfield Discovered over a pint! 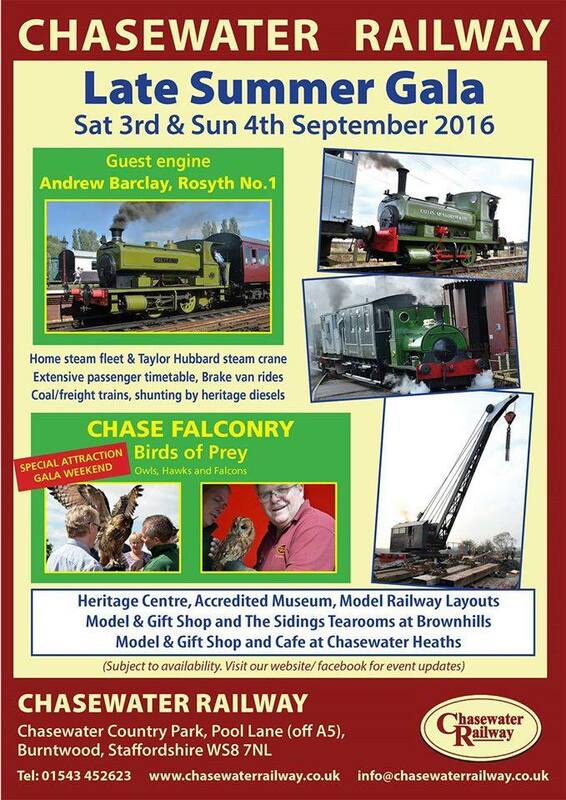 Aldridge Transport Museum and Chasewater Railway Grandparents day today! It’s all kicking off in Lichfield! 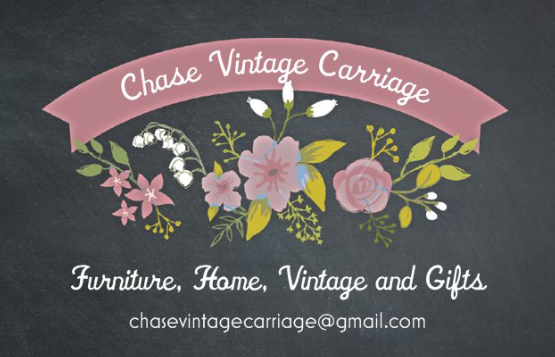 It’s a busy old time in Lichfield over the next few days, with The Lichfield Waterworks Trust having a stall at the Lichfield Festival Market this Saturday (4th July 2015), and Kate Cardigan’s informal Lichfield history group, Lichfield Discovered holding an informal monthly pub meeting on Tuseday evening (7th July 2015). Sadly, the sun didn’t make it along until late in the day, but even without the sunshine it was a great event – Brownhills Canalside Festival was back for 2015 – and with Brian Stringer at the helm, it was a a great event and a fun thing for the local community. 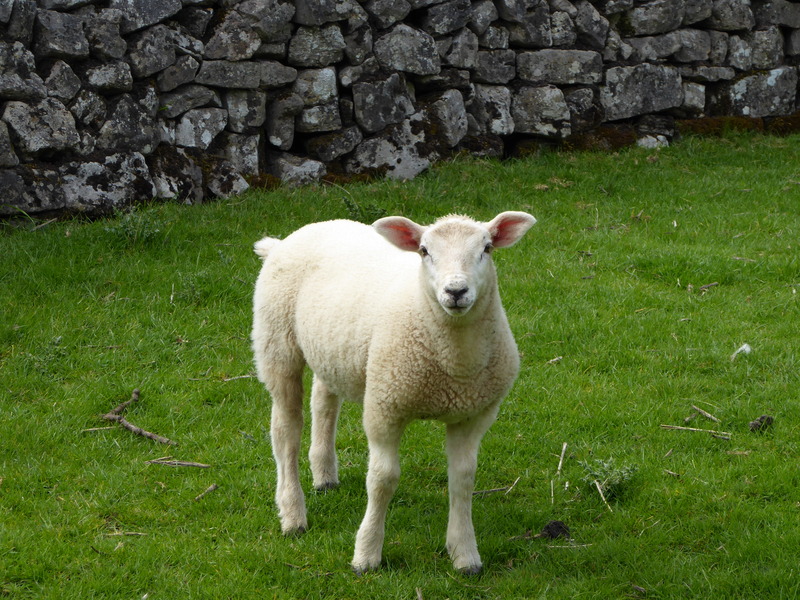 Our greenspaces are not for sale! 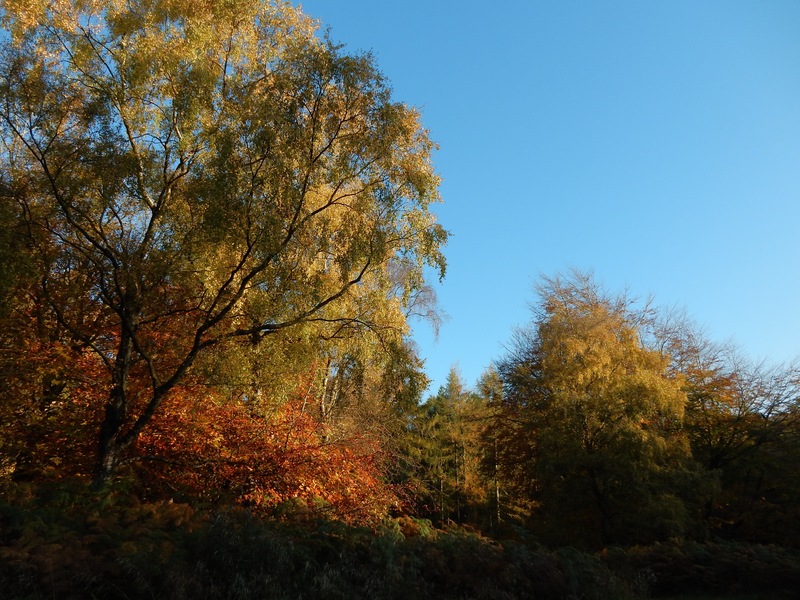 In the last couple of days there’s been a degree of what can only be described as panic locally and on social media about the future of Cannock Chase, Chasewater and other Staffordshire Country Parks. As many of you will be aware, last Saturday was my first long dayride of the year – a bit of a tradition in spring, and something I intend to do more of this year. 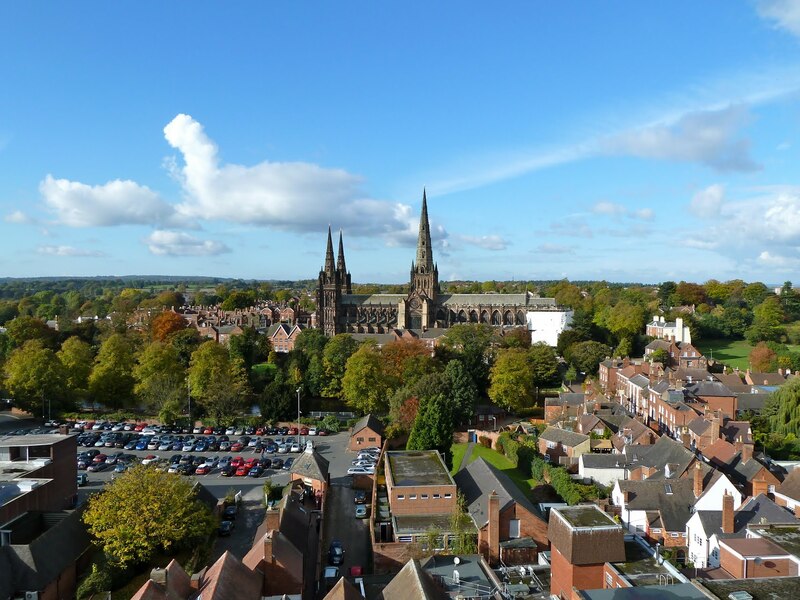 Lichfield discovered – alphabetical Lichfield – free talk on tonight! I see that there Kate Cardigan from the wonderful Lichfield Lore is has another talk on this evening with her informal and fun Lichfield local history group, Lichfield Discovered. 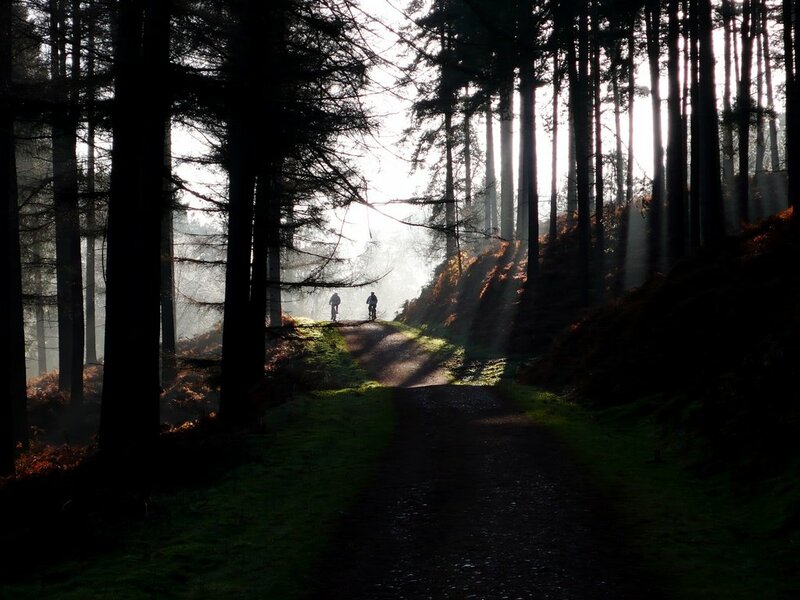 I haven’t done a ride photo post for ages, because to be honest, I haven’t rode much for pleasure this past winter – something I intend to correct now the year is opening out once more. 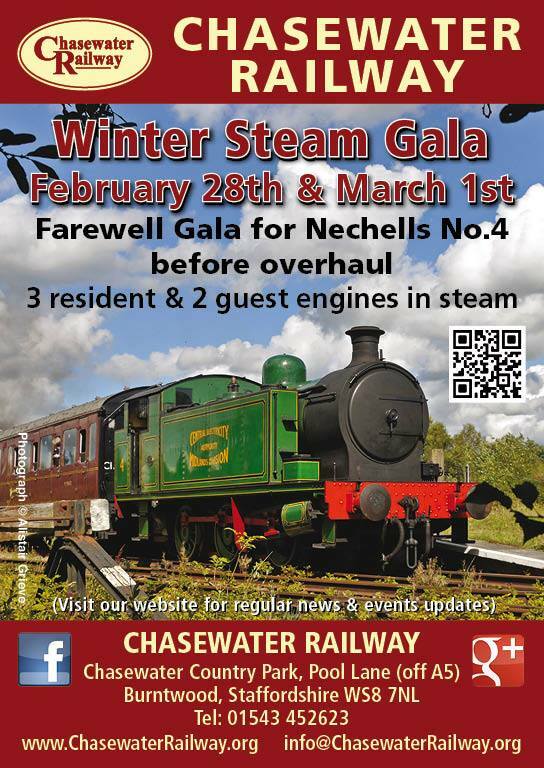 I note Chasewater Railway have a Winter Steam Gala this weekend (28th February – 1st March 2015), with special guest engines and a much busier running timetable than normal. 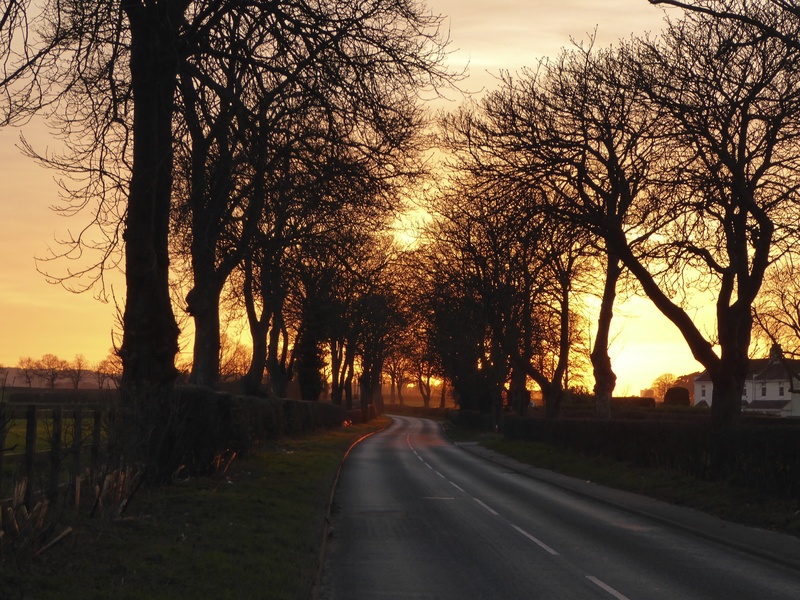 Lichfield discovered – Holy Wells and Sacred Springs – on tonight! Lichfield discovered – alphabetical Lichfield – on tonight! I see that there Kate Cardigan from the wonderful Lichfield Lore is kicking off 2015 in style with her informal and fun Lichfield local history group, Lichfield Discovered – tonight at 7:30pm, (12th January 2015), they have a wonderful free talk at St Mary’s in the Lichfield Market Square based on an alphabetical trip around Lichfield by John Gallagher. 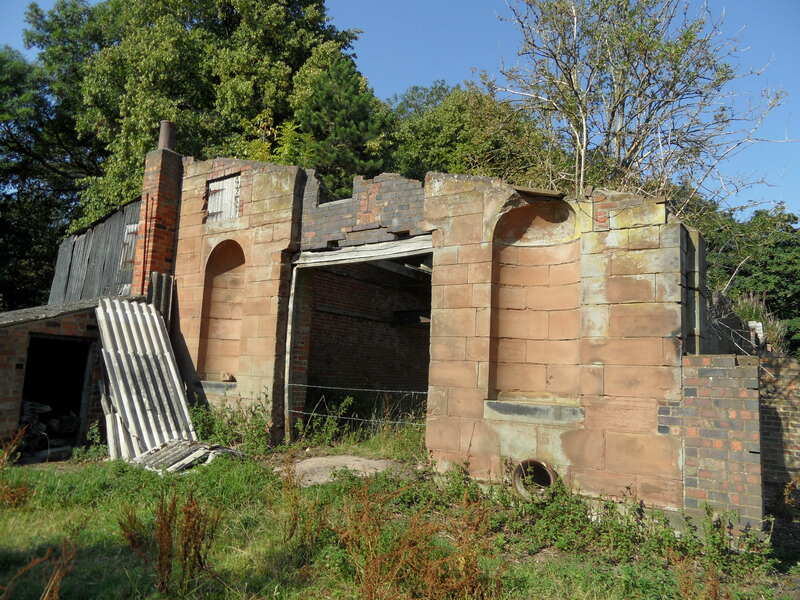 In a remarkable instance of coincidence, last Friday, reader and top local history ferret Andy Dennis sent me an astounding piece on a lost reservoir near Howdles Lane, in north Brownhills, between Chasewater and the Watling Street. 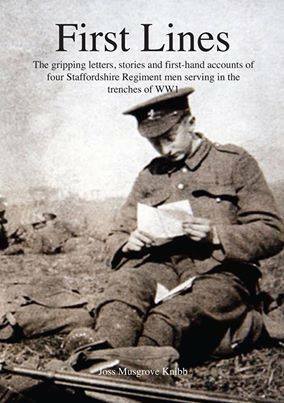 Kate Cardigan Gomez from the wonderful Lichfield Lore is really going some with her local history group, Lichfield Discovered – in the next week they have two events, one of which is tonight, and on an appropriate Great War theme, with author Joss Musgrave Knibb. 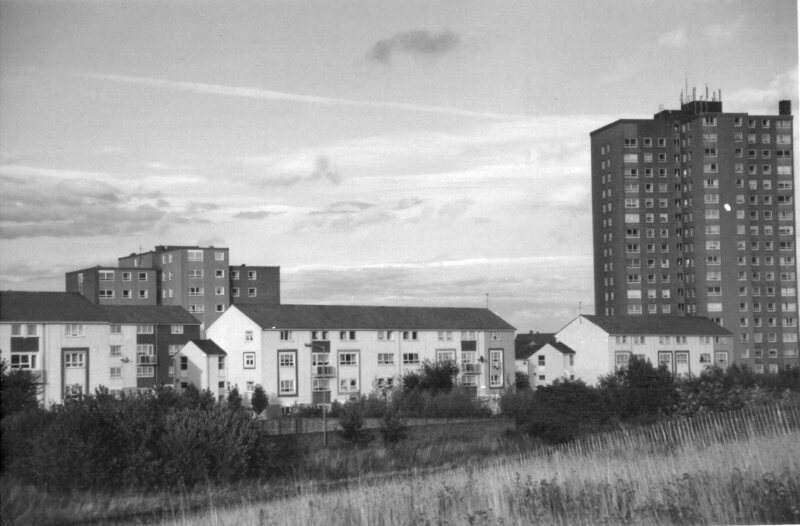 Kate Cardigan Gomez, irrepressible wonder behind Lichfield Lore has organised a walk and tour around the remains of the incredible Fisherwick Park estate with her other project, Lichfield Discovered – it takes place tomorrow, Saturday 27th September 2014. 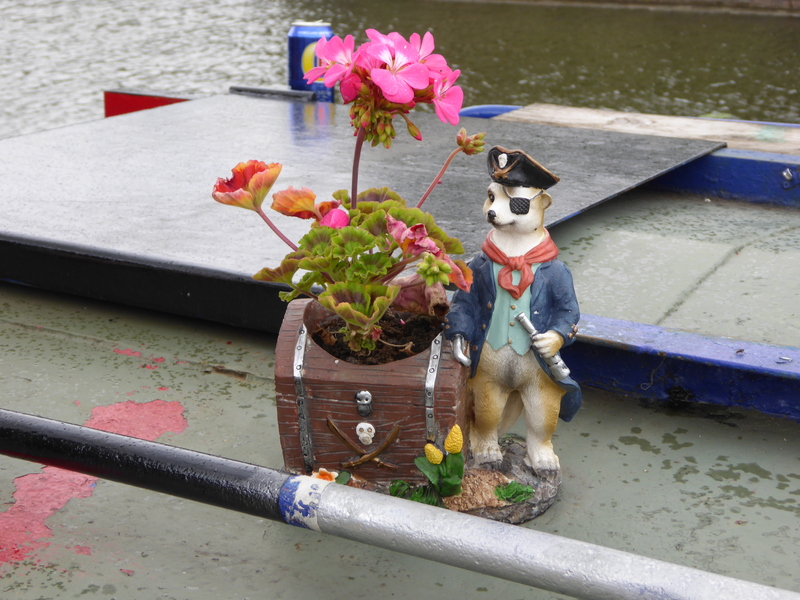 Well, today was the day – and as it happened, it was a great event – Brownhills Canalside Festival was back for 2014 – and it’s very clear indeed that with Brian Stringer at the helm, it was a much better affair than the washout of 2013.